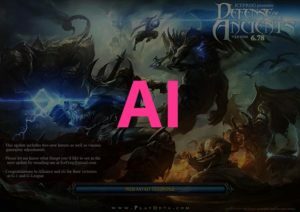 Ai stands for artificial intelligence, for Dota this means that Bots choose a hero and play and act like a real human player. Many people love Ai versions for Dota to test heroes, item combos and spell combinations! Dota LoD is playable on RGC and in the forums many players asked for an Ai version of Legends of Dota! 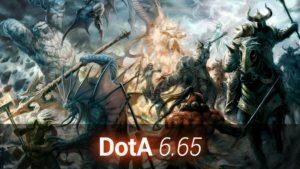 Please read this: Dracol1ch the map developer of the Legends of Dota Maps said that it is not possible at the moment to create a Dota LoD Ai version. There have been many threads in the Legends of Dota forums and many requests, but it seems to be impossible to create bots that behave intelligent with the huge amount of spells that are possible in Dota LoD. Well, lets do the math: If there are for example 100 heroes in Dota, each with 4 spells, then we have 400 spells. Now I calculate 400×400, well are there really 160.000 combinations of possible spell compositions? How could one create a playable Dota LoD Ai Map for this? I also agree with the previous comments, if the combination is too much. because playing AI is only for learning and having fun. Yeah, I agree with the comment below. Let the AI use their default skills and only human player can choose a random skill. I have suggestion , what if only the player has the ability to choose skills and AI has their default skills, it’s good having for it now if your SOLO and no internet connection. XD, now that i think about it. This article is actually right XD. AI with too many possible combinations of Skills.